The problem with Valentine’s Day is Valentine’s Cards. You know what I mean. If you buy them they’re all, Dave’s turn to do the washing up, Sheila decided to wear fish nets or really bad pay per word verse. So the best option is to renounce love and sentiment forever, but failing that, you can make your own. I came across these cute date night arrows at Sugar &Cloth and decided to develop the concept using paper straws to allow me to insert a hidden message. I cut a heart shape from some red card and scored with a peace sign shape from top to tip and across the widest part of the heart to allow me to create a 3D arrowhead shape when the hearts were stuck together either side of my paper straw using quick drying craft glue. While the arrowhead was drying, I wrote out my message on some paper with gold tones (ten points to your Hogwarts house if you recognise the Snape reference) and inserted it inside the main body of the straw. I then cut out a feather shape from cardboard and glued it to my straw, wrapping with a natural look twine to give it a realistic arrow look and sealing the message securely inside. And voila, my original Valentine’s card was made. This entry was posted in Craft and tagged craft, love, poetry, relationships, valentine on January 29, 2014 by Siobhan. I’m starting with Mr Rochester, because I read a blog post explaining how much the blogger needed a man like him in her life and it made me decide to write this post. Don’t get me wrong, I liked Jane Eyre well enough, but are you actually serious? I couldn’t go for Rochester as the romantic hero, nor am I sure what on earth would possess any woman in her right mind to. I meant, I’m sure that times were very different back then, but there’s just something about a man who locks his mentally ill wife in an attic and then tries to trick a naive woman into bigamy that’s never really tickled my fancy. Also, the moment when he dressed up as a gypsy fortune-teller in order to manipulate his house guests was just weird. I don’t need that in my life. “Mr Darcy!” simper and fawn the women of _______shire, leading to generations of women to believe that single men in possession of a good fortune, especially the arrogant and remote ones, must be good husband material without tasting a drop of Austen’s intended satire. Reader, he may claim to be properly humbled, but given his previous performances, how long would it take Darcy to drop jibes about their disparate social status into domestic arguments. I can only imagine what Christmas dinner with the Darcy family would be like…sister-in-law Georgina sat opposite Mr Wickham who attempted to seduce her before succeeding in seducing your sister and then being bought off by your husband. A little too Regency Jeremy Kyle/Jerry Springer for my tastes. Romeo, Romeo, let’s not forget Romeo… this little chap (and let’s remember he would have been little more than a child) is basically a seducer and who likes to make smutty jokes about his well-flowered pump. 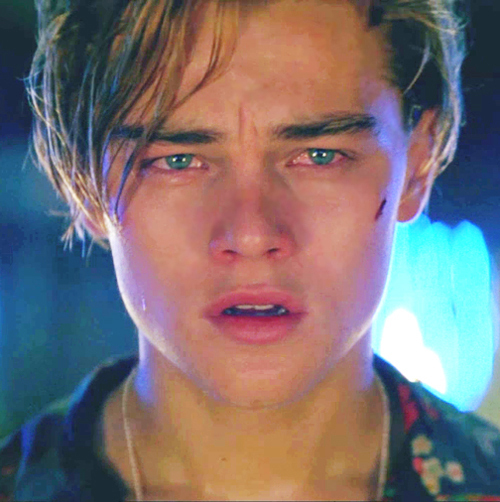 He goes to Capulet’s party and meets Juliet when he’s been moping about being knocked back by Rosaline who he’s been trying and failing to bed, then proposes to Juliet when she is shocked at his demands for satisfaction…not to mention kind of causes the death of his best friend and wife’s cousin. Yes, yes, teenaged love is very sweet and all that, but I’m just not sure I’d want to throw my life away after a child who was chasing someone else literally a few hours before. 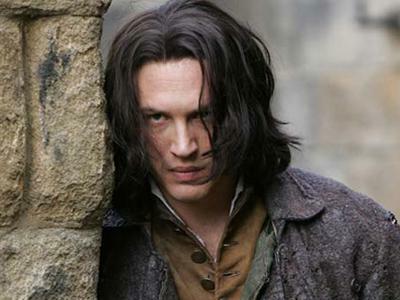 Oh Heathcliff, he’s Romantic with a capital R… a force of nature, running wild, gnashing his teeth at the world, a rebel at heart… and a cold, manipulative man who abuses his wife, weak adults and any children unfortunate enough to find themselves in his company. While Heathcliff and Catherine’s relationship is an amazing work of literature, examining an obsessive love between two truly damaged individuals, I’m not sure that a love affair that ends in corpse exhumation and haunting is really something we should aspire to. Following on from Heathcliff (because Stephanie Meyer couldn’t be any more desperate for her readers to pick up on that subtle as a sledgehammer allusion…) creepy Mr Cullen secretly watches his love interest while she’s sleeping, romantic or stalky? I’ll let you decide, but I can’t help wondering whether he couldn’t have done something a little more useful with his time. If a vampire ever decides to waste their time watching me sleep, they should know that my kitchen probably needs cleaning, and I wouldn’t mind if they paint the spare bedroom. 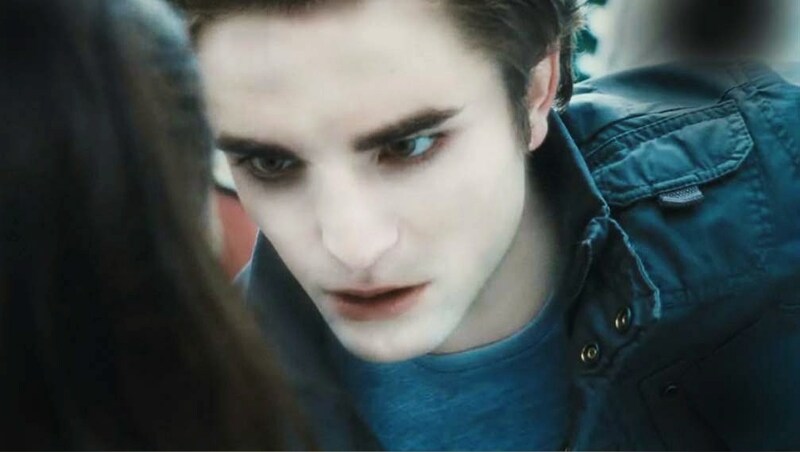 If housework isn’t Mr Cullen’s thing, now that he’s mastered the world’s languages and the piano, could he maybe use his scientific knowledge and excess of time to do something useful like cure cancer or develop an antivenom to his vampire venom? Just saying. Nothing attractive about this one. What about you? Is there a character that you were meant to find attractive but just found repulsive? This entry was posted in Top Fives and tagged books, entertainment, feminism, film, love, relationships on November 25, 2013 by Siobhan. Imagine a world in which they did. Oh wait, I think that someone has and wrote a successful series of YA books based on it. This entry was posted in Uncategorized and tagged books, love, Quotes, relationships on August 12, 2013 by Siobhan. The way he talked, the way he moved around the room, the guy was either a fantastic actor or he believed what he was saying. You just don’t see that very often. Teachers in movies are always leaping onto tables and sacrificing their lives for their students and their love of literature but the truth is that you rarely, rarely take a class from a teacher who cares. It’s just unrealistic. How many people could walk into a classroom year after year and weep for “Ode to a Grecian Urn”? That’s why the ones who stay are so often some of the most depressing people you’ve met in your life. It has nothing to do with their age. They’ve stayed because of their disposition- bitter, bored, lacking in ambition, lonely and mildly insane. With a few exceptions these are the people who are capable of staying in a school. This is what it takes to teach for half a life-time. The ones who care, who love the subjects, who love their students, who love, above all, teaching- they rarely hang around. A debut novel, You Deserve Nothing explores influence, obsession and idealism from the perspective of a teacher and two pupils at an international school in Paris. A charismatic young English teacher avoiding his past in Paris, William Silver starts the year with rock star status amongst the staff and pupils of ISF. Over the next few months, he rapidly falls from grace, closely watched by Marie, his teenage lover, and Gilad, an intense young man with a difficult family life. I was impressed by the subtlety with which Maksik created his characters. Each narrator has distinctive voice which allows you to feel their desperate loneliness and empathise with the characters despite their attitudes and actions . Fierce Gilad with his desperation for approval and identity, who heaps upon others the expectations he wishes he could live up to himself; lonely Marie who craves warmth and affection; idealistic but empty and broken Will who embarks on an impossible love affair to avoid intimacy. Each is credible and profoundly human. Each feeling undeserving. An intelligent and considered debut, the novel invites you to walk around the lives of others, seeing the darker sights of their psyche against the backdrop of the city of lights without prompting judgement or indicating blame. A truly outstanding debut. I read the way you read when you’re young. I believed that everything had been written for me, that what I saw, felt, learned was a discovery all of my own. Huh. I may have said before that before I got my current job I was an English teacher in a secondary school, which I loved, but I couldn’t carry on with because I was totally burned out. This was partly because of a physical problem, but also because the job is so emotionally and spiritually demanding and for me, that was something that came across really clearly in the novel. As a teacher there is a suffocating pressure to be friend, parent and priest; to guide your students, nurture them and help to widen their horizons and think for themselves while not getting too close or involved. There’s also, or was for me, the fear of failing them somehow, of not giving each individual the attention and support they need, not to mention that you get some students who will always need more than you can give. You have to be able to build a mental wall or it can eat you up. The scenario that Will finds himself in is wildly different to anything most teachers will get involved in (though you do hear about it) but despite that much of it was all too recognisable. I found myself dreaming about teaching for the first time in months after reading this book, strangely cathartic. My (possible) psychiatric issues aside, I would recommend this to anyone as it really is a fantastic read. I don’t give stars, but if I did this would have five. This entry was posted in Uncategorized and tagged books, entertainment, relationships, teaching on August 26, 2011 by Siobhan. There are so many I could talk about and that I thought about, but I think a really interesting relationship is the unexplicit relationship between the new Mrs. De Winter and Rebecca in Rebecca by Daphne du Maurier. I think it’s relatively easy for authors to create a situation in which there is overt passion or animosity between characters, and many do this crudely with little skill or originality (see Twilight) but the genius of Daphne Du Maurier is that she creates a complex relationship between two characters who have never met. I don’t think it’s a solely female trait, but it is a common problem in relationships I’ve seen that people compare themselves to their partner’s ex and we can sympathise with the unnamed narrator when a beautiful and mysterious woman like Rebecca is the perceived love rival. Even though she doesn’t exist as a living, breathing character in the novel; Rebecca makes the narrator feel and become a non-entity, Rebecca is the eponymous one and Mrs. De Winter is of interest as a result of her role as second wife and her struggle to find her place in Rebecca’s home. This entry was posted in Direct Speech and tagged books, relationships on May 4, 2011 by Siobhan. I’ve delayed in posting this for a day or so in order to avoid coming up with the obvious, but surely it has to be Edgar Linton, Cathy and Heathcliff? I intentionally include the three, because Edgar Linton adds an extra element to the relationship, without him they would be two children running around on the moors outside of society. It’s his socialising influence which brings the concept of marriage and propriety to their relationship. I wrote a whole essay at university about how Heathcliff is the id, Cathy the ego and E. Linton the super ego and the two men tear her apart between them to the point that she can no longer recognise herself. Not pretty, but amazing reading and way ahead of its time. This entry was posted in Direct Speech and tagged books, relationships, Romance on May 3, 2011 by Siobhan.